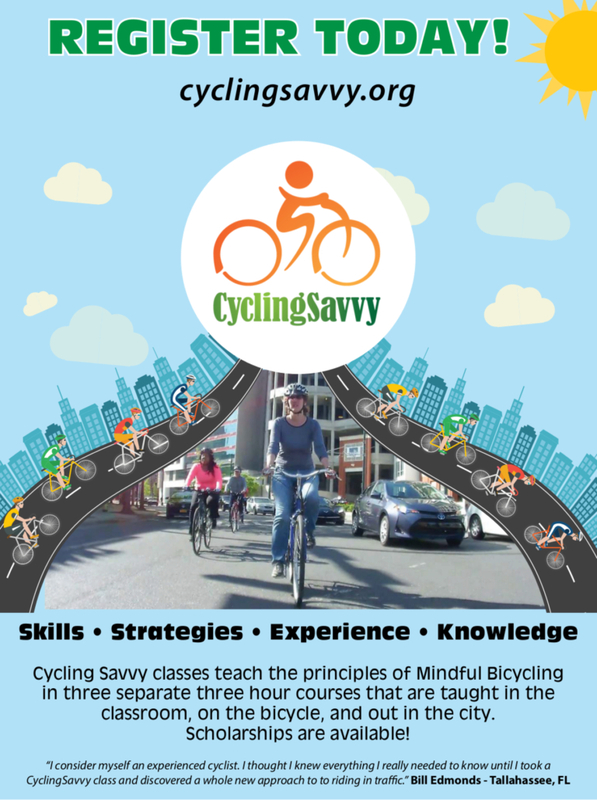 The full CyclingSavvy Course INCLUDES Truth & Techniques (classroom session), Train Your Bike (bike handling) session, and our signature on-road experience — Tour of Orlando. After the parking lot session, we ride as a group to Colonialtown for a lunch break, the Tour session leaves from there after lunch. The Tour of Orlando is an experiential tour of our city’s roads. 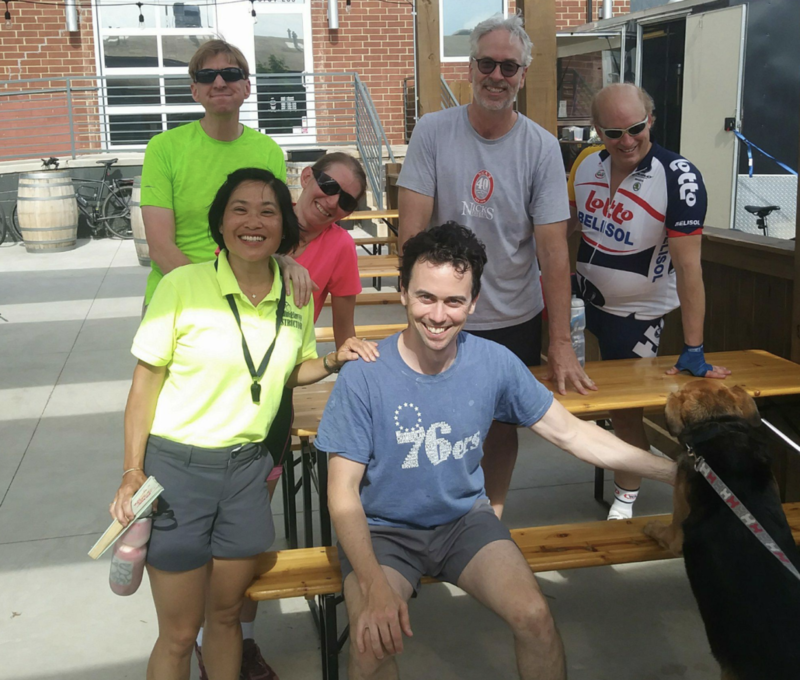 The course includes a mix of enjoyable bike routes as well as some of the most intimidating road features (intersections, interchanges, merges, etc.) you might find in your travels. 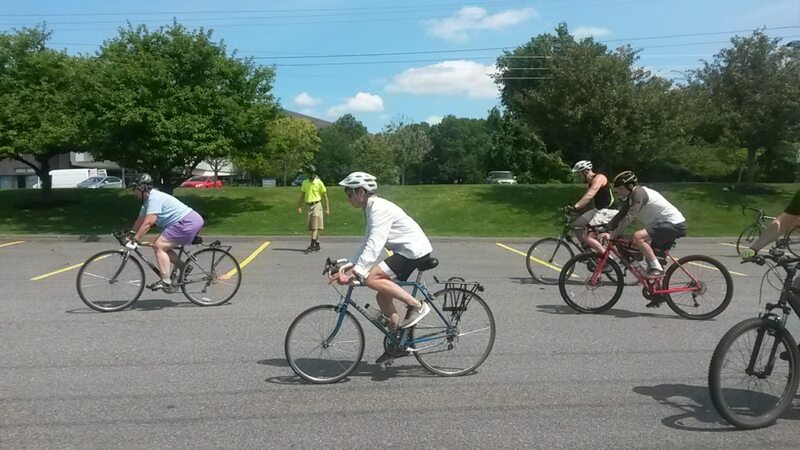 We ride as a group, stopping to survey and discuss each exercise location. After observing the feature, discussing the traffic dynamics and the best strategy for safe and easy passage, the students ride through individually and regroup at a nearby location. The ticket below is for the full three-part class, including the Tour of Orlando session.